There is never a bad time to return to Oz and so it was a pleasure to be invited back to the Apollo Victoria for a final glimpse of the cast under Gina Beck and Louise Dearman, as their take on Schwartz's mega-musical draws to a close. A feature of London's West End since 2006 and with the show still a Broadway hit, Wicked continues to be a tale, that if you are familiar with L Frank Baum's story of Dorothy, will amuse you with its wit and if you have no background knowledge whatsoever, still works as a charming tale of rivalries overcome and friendships formed amidst conflict and adversity. Wicked can be viewed as a very simple magical piece about friendship and trust. However there is also Elphaba's rejection by society from the moment she is born and the consequences that such contempt can spawn. 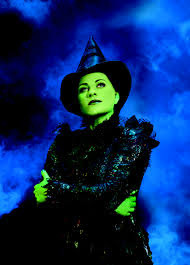 Louise Dearman's take on Elphaba, the misunderstood emerald green girl destined to become the Wicked Witch of the West is almost faultless. Hers is a complex character, good and innocent at the outset and only seeking affection. Shunned because of her skin colour (an allegory for our own racist world) she learns to hate only because hatred is what the world has shown her. 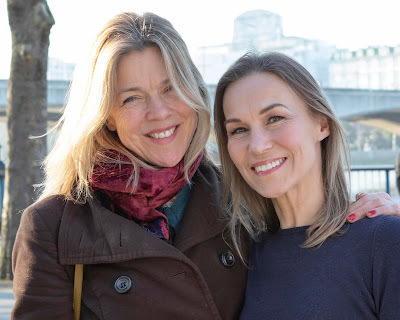 Dearman's mezzo-soprano performance is breathtaking and 'Defying Gravity', the show's spectacular act one closing number and 'No Good Deed' continue to raise the roof at the Apollo. Dearman is unique in the show's global history as the only actress to have played both Elphaba and her opposite, Glinda. As Elphaba's antagonist, the elfin Gina Beck is everything that the saccharine-sweet soprano Glinda should be. Nominally the Good Witch, she flips effortlessly from being wise, warm and motherly to care free and witty with her early number 'Popular' cleverly showing how innocent yet still manipulatively scheming the so called good witch can be. Whilst the two leading ladies give a formidable double act, other notable performances on the night came from Stuart Ramsay whose understudying of The Wizard, despite being much younger than most actors who play the role, gave a surprisingly genuine warmth and Sam Lupton's Boq was also a refreshingly endearing turn. The role of Fiyero was also an understudied performance, this time by Jason Winter who disappointingly lacked impact and presence for such a pivotal supporting responsibility. Even on a return visit, Susan Hilferty and Eugene Lee's designs remain breathtaking with the Wizzamania sequence in particular leaving the audience grinning. No gimmicks, just a combination of story, characters, music and costume all coming together to create perfect musical theatre. Elphaba's ambition and determination define the show as a feel good musical and as act two ends, again free of gimmicks, Schwartz's For Good remains one of the greatest celebrations of friendship in the canon. The song's lyrics might groan just a bit, but the two-part harmonies alone define its magic. Now booking well into 2014 and with Willemijn Verkaik soon to take over as Elphaba, Wicked remains an innovative celebration of good triumphant over evil staged with wit, flair and some of the best showtunes of recent years.